Every time I see Hannah out and about I'm always impressed by her co-ordinated and striking silhouette while on her Yamaha SR400 (which she can kick start, first go, every time). Few have the patience and commitment to find beautiful gear that doesn't turn its back on safety, but Hannah has in a way that it totally unique to her. 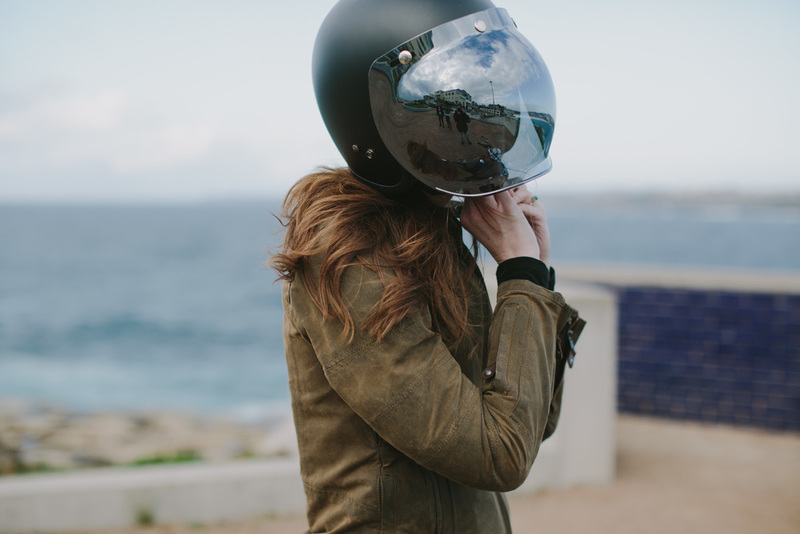 Framing her sophisticated and understated look are; an open face Bell Helmet with snap bubble visor in the dark tint, her jacket is the Vada Ranger by Roland Sands Design which is waxed canvas and comes with optional removable armour for the elbows, shoulders and back. Her gloves are also by RSD and boots are a Chippewa Lacer Boot bought new that she finds really comfortable and sturdy. 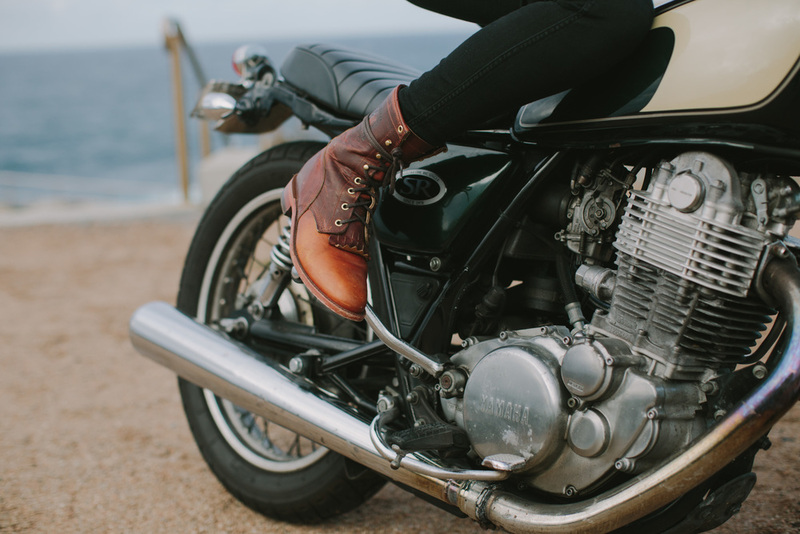 We recently featured Hannah's style story on her Yamaha SR400 and perfectly coordinated look, and wanted to take a moment to show her Vada Ranger by Roland Sands Design. All RSD motorcycle jackets for women are designed to be well worn and are the best around for a feminine silhouette with the protection of removable armour. Local start-up label Black Arrow Label (founded by fashion designer and rider Hannah Smith) launched its first product offering last month in Sydney. 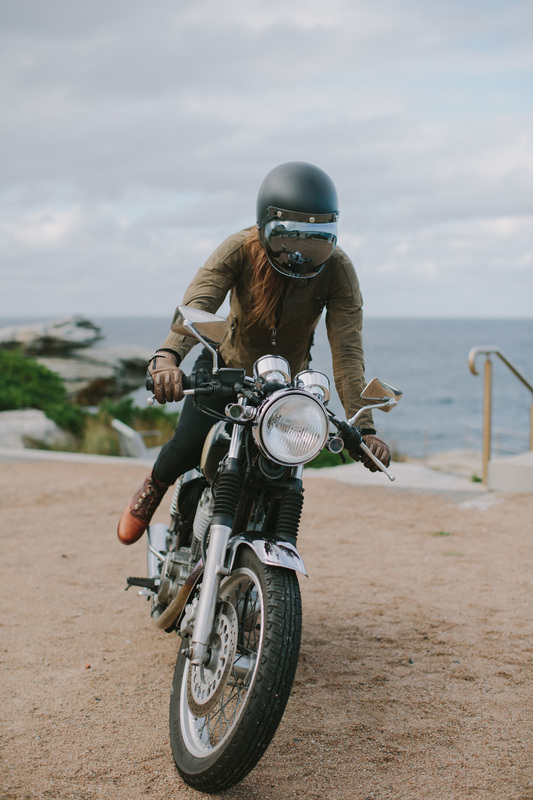 Like many of us frustrated with the lack of offerings available for women who ride, Hannah put her fashion design skills and entrepreneurial spirit to actually doing something about it. Connie recently changed from riding a Yamaha R6 (super sports bike) to a Harley Davidson Ironhead 883 and found her Dainese gear was no longer suitable for her her new riding position.